Wrapped in blankets during the pre-dawn hours, I was protected from the frozen temperatures as I sat on a balcony four feet off the ground. Only my nose and eyes were exposed to the chilling air. The quiet, stillness welcomed my meditative thoughts as I peered out into the night at the dormant forest. The covering of snow illuminated the landscape as the full moon reflected the sun’s radiant energy upon the Earth. It was as though I had been blessed to witness an environment seldom viewed without the patience to bask in the wonder found in nature. A sound caught my attention as I looked out into the darkness. The moment came when a pack of majestic wolves drew near and meandered down the path. Eight creatures gracefully moved just below my perch as I stopped my breath in magical grander. The powerful pride quietly moved down the road that was within feet of where I sat motionless. Thoughts of gratitude filled my soul as they passed. The last wolf froze when it caught sight of my released breath. Our eyes met. For a few seconds, this magnificent creature and I became one, sharing the same frozen environment, with a sense of mutual respect. This gentle member of the pack moved on to rejoin the community. It is evident that we share this precious planet with a diversity of life forms. Each species has its own niche that defines their role in a functioning World ecosystem. 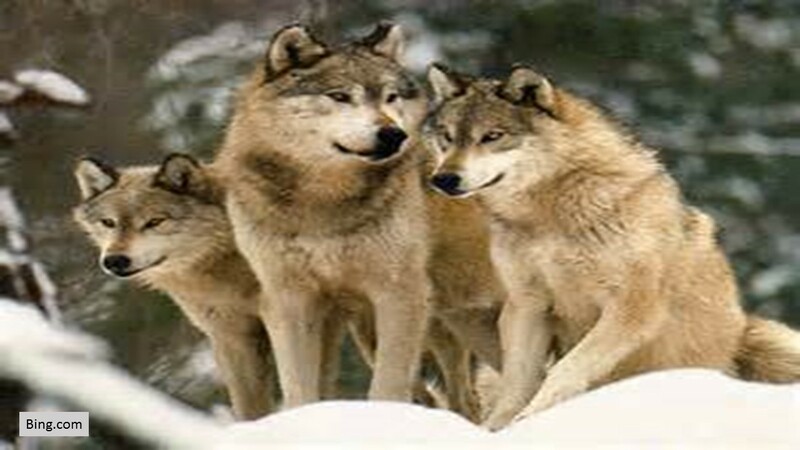 This youtube video aptly describes the incredible services provided by this keystone species, the wolf.